It is with deep appreciation that we thank those organizations that fiscally contribute to our students who are in need. It is through their support that we are able to supply needed items at each of our schools such as coats, hats, shoes, jobbing pants, etc. 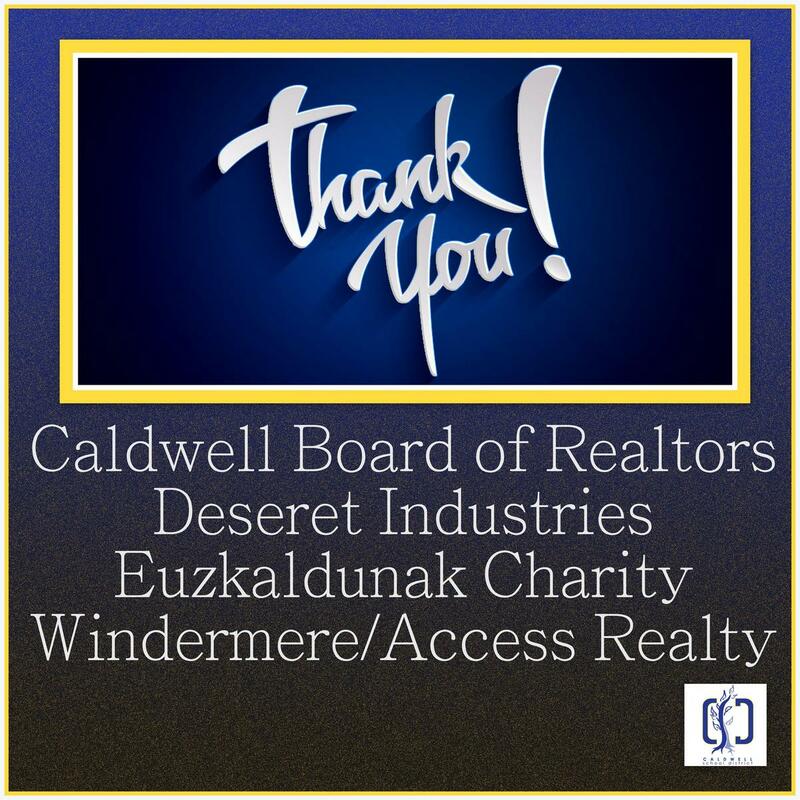 We appreciate you Caldwell Board of Realtors, Deseret Industries, Euzkaldunak Charity and Windermere/Access Realty.